I had a noticed when tried that feature. 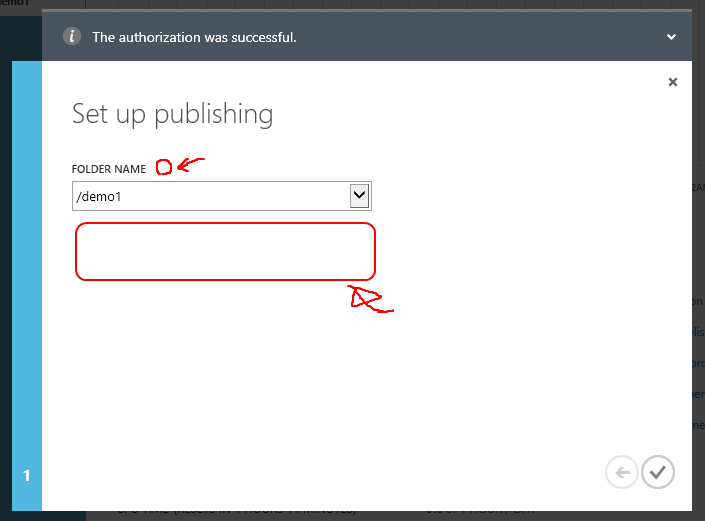 This feature will be published to WebSite immediately from existing dropbox folder when choose existing dropbox folder in “Set up publishing” wizard. I was a little baffled by this behavior. Because other source control provider does not publish immediately when finish a “set up publishing” wizard. However, I think I may be in this behavior. However I think need message of help for this behavior in wizard. I think needs to do clarified about help message. Example, This folder will be created under the folder named /Apps/Azure in your Dropbox. When you choose an existing Dropbox folder, Application is published immediately from an existing Dropbox folder when this wizard finished.